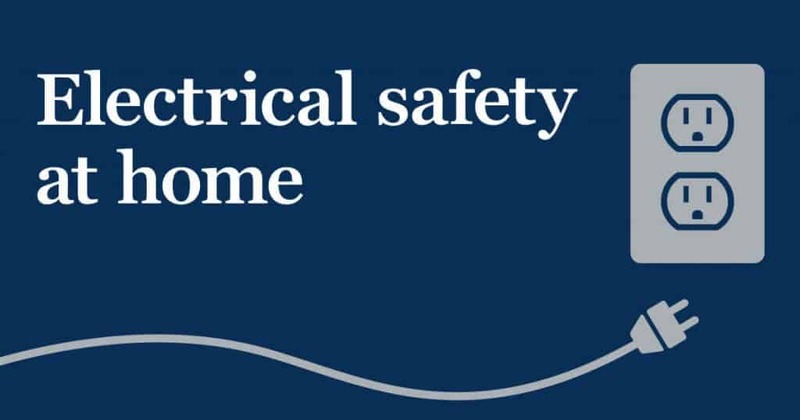 Use the following tips as a guide to help keep your family safe from electrical dangers & fire at home. Use electrical appliances, cords & fixtures in your home listed by an independent testing laboratory such as Underwriters Laboratories. Wet areas in your home, such as the kitchen & bathrooms, ought to be protected by ground fault circuit interrupters. Push the check button on your GFCIs every month to find out if they are operating properly. Keep electrical cords out of traffic areas. Use the safe light bulb wattage for each light fixture. Keep all cords in a good state & not knotted or coiled or pinched under furniture or rugs. Be cautious not to leave faceplates off of outlets or switches. Keep all electrically-powered appliances & equipment dry & kept them away from places where water is used. Make sure transportable space heaters are used away from combustibles such as curtains or stacks of newspapers. Keep in mind to unplug all countertop appliances when not in use. Keep countertop electrical appliances located away from the sink, & their cords away from hot surfaces. Keep little electrical appliances such as hair dryers, curling irons, & razors away from water & unplugged & stored when not in use. Keep the range top & the areas above it free from things that can burn, including towels, potholders, & plastic utensils. Make sure electric blankets are in perfect working order & unplugged when not in use. If fuses are used, make sure they are the correct size for the circuits they protect. Make sure outdoor outlets have waterproof covers that close automatically. Only use extension cords outside specifically marked for such outdoor use. Make sure all power tools are equipped with 3-prong plugs or marked to indicate that they are double insulated. Be cautious not to run power cords across floors where they can be tripped over. Be cautious not to overload electrical outlets, extension cords & power strips. Be sure that outlets are not loose or wobble. Have an electrician replace any broken outlets or broken or missing plates. Have computer equipment, & other electronic devices connected to a surge suppressor. 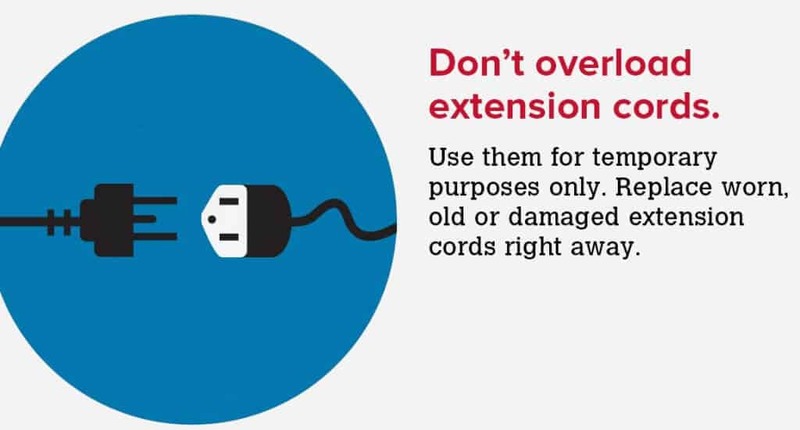 Make sure that extension cords are not overloaded. They ought to be plugged directly into a wall outlet, not into an outlet on a power strip. Make sure light bulbs are of the proper rating & that there are no empty sockets. Make sure halogen lamps are away from drapes or anything else that that can burn very easily. Never touch a halogen bulb, or any other glass part of the lamp that is near the bulb, along with your bare hands when replacing it. Make sure everyone knows where the main breaker is to turn off all power to the house in case of an electrical fire, or other emergencies. Check the cord on appliances. Make sure no plug-in appliance is left near a water source when not in use, such as hair dryers & curlers left in a bathroom. If any appliance blows a fuse, or trips a breaker often, or gives you a shock, have an electrician to repair it or replace it.